Early one morning, a Los Angeles delivery driver discovers a body inside a parked car. It’s likely bodies are often found in parked cars around L.A., but when this body is identified as a Hollywood insider, questions – and eyebrows – are raised. There are several interested parties associated with the dead man; yet, no one seems as determined to find the answers as Anne, a writer returning to L.A. to renew the movie rights to her book. This premise sounds like a fab 1940s thriller/film noir, doesn’t it? It is a compelling thriller – only this is a novel about murder in modern-day Hollywood. It’s also an insider’s look at the business of making movies in Tinseltown. 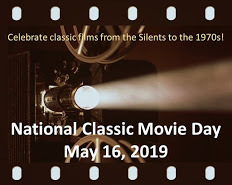 Lester’s writing is brisk and insightful, and she’s sprinkled lots of classic Hollywood references that are like chocolate treats to old movie bloggers. Not only that, her descriptions of L.A. had us doing some online scrounging for airfare deals. The best part of all? Lester has planted an ending you will not expect. Surprise is 100% guaranteed. 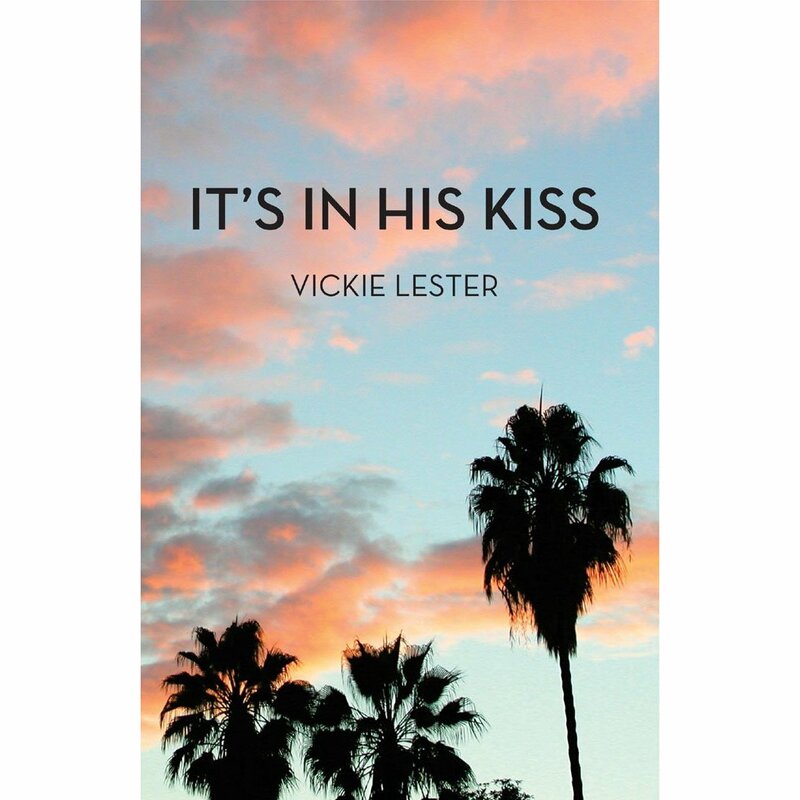 If you’re interested in the machinations of Hollywood, or if you like an intriguing story with lively characters, you’ll want to pick up a copy of It’s in His Kiss. Ooh – good info re: Ansel Adams photo. I love this one. Oooo! It’s now out??? BIG CLAPS! I’m going on vacation next month so guess what’s on my reading list. Congrats, m’dear! 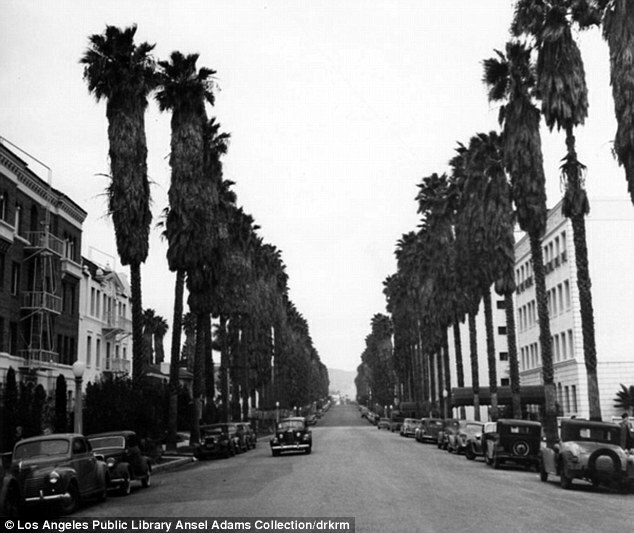 You can view a few more fascinating Adams photos of 1940 Los Angeles at http://carole-and-co.livejournal.com/485574.html. Thanks for the link! I’ll be checking them out. I love mysteries and surprise endings so this sounds like a good read to me. I can see how the classic movie references would be like pieces of chocolate. What a great description! I’m sure that makes the book even more fun to read. I appreciate you giving suggestions for a good book as well as movies, Ruth. I actually wish I had it right now as we are out of town for a weekend getaway. The ending was a TOTAL surprise. I didn’t see it coming. But then, when I looked back at the story, it didn’t exactly come out of nowhere. I loved that she included lots of classic movie references.